I tried to post a response online at The Times in relation to their article but they wouldn't post it - perhaps it was too long or too partisan. In any case here are some further details on Steenbergs vanilla. The article in The Times is unfortunately in part true as child labour is one of the big problems with vanilla in Madagascar and the developing world. I am not sure about widespread employment of children below the age of 8 years old, but it certainly might exist in pockets and will tend to happen around harvest time on family farms. Other major problems include: very high levels of general poverty and low levels of development within Madagascar where GNI per capita is $410 for 2008 compared to $45,390 for the UK, ranking Madagascar 145th out of 182 countries; and environmental issues such as degradation of the rainforests for slash & burn agriculture and massive losses of unique biodiversity in Madagascar. 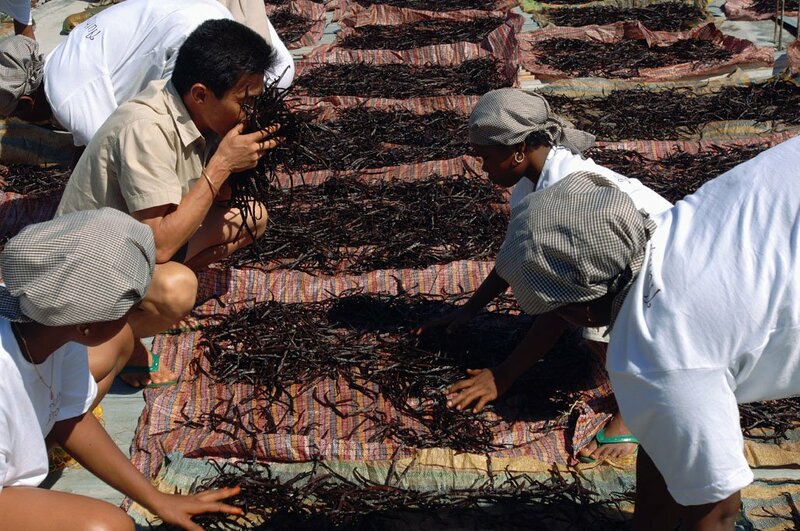 These issues are being addressed in a small way by Steenbergs through a focus on (a) organic agriculture and (b) Fairtrade vanilla, but the fight must still go on to improve further the development prospects of the Malagasy people. 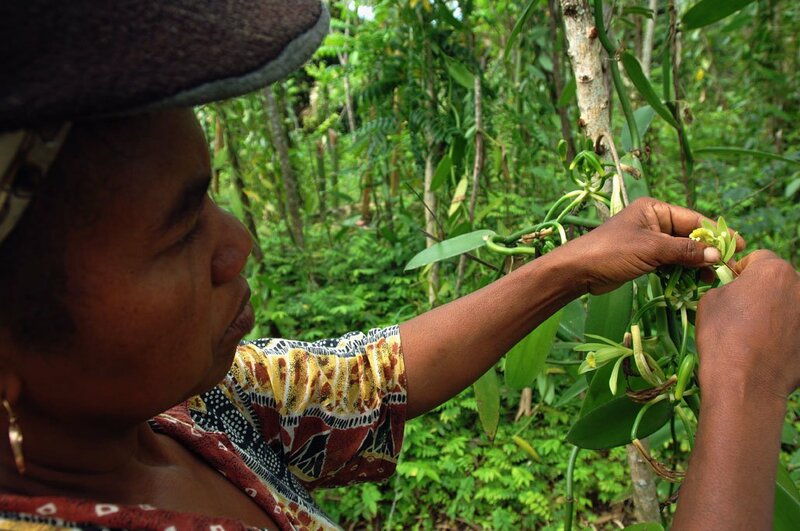 Steenbergs vanilla beans come from three Fairtrade projects in North Eastern Madagascar with about 1000 farmers structured into co-operatives. Employed staffing is low at 60 people with a large amount of seasonal workers, reaching up to 400 people. Child labour is prohibited. 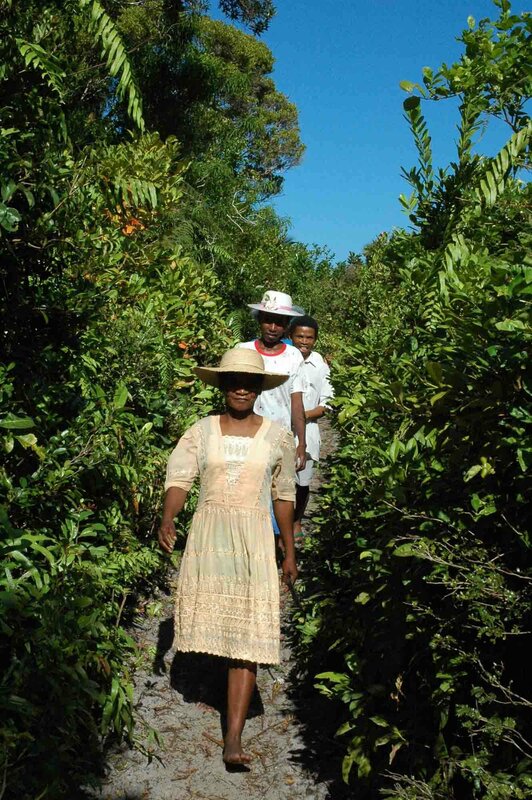 All workers are paid above the minimum Malagasy wage and lunch is provided for free and is not deducted from wages. All employees work 8 hours a day from Monday to Friday and 4 hours on Saturday morning. If additional work is needed, overtime is paid at a higher rate. The working week is no more than 60 hours. Employees are provided with work clothes. Vanilla represents over 90% of agricultural income of planters’ families with rest coming from sales of coffee and some rice, but perhaps more importantly it is these cash crops that enables farmers to generate income above pure subsistence farming; the rest of their farming is cassava, rice and vegetables for their own consumption. 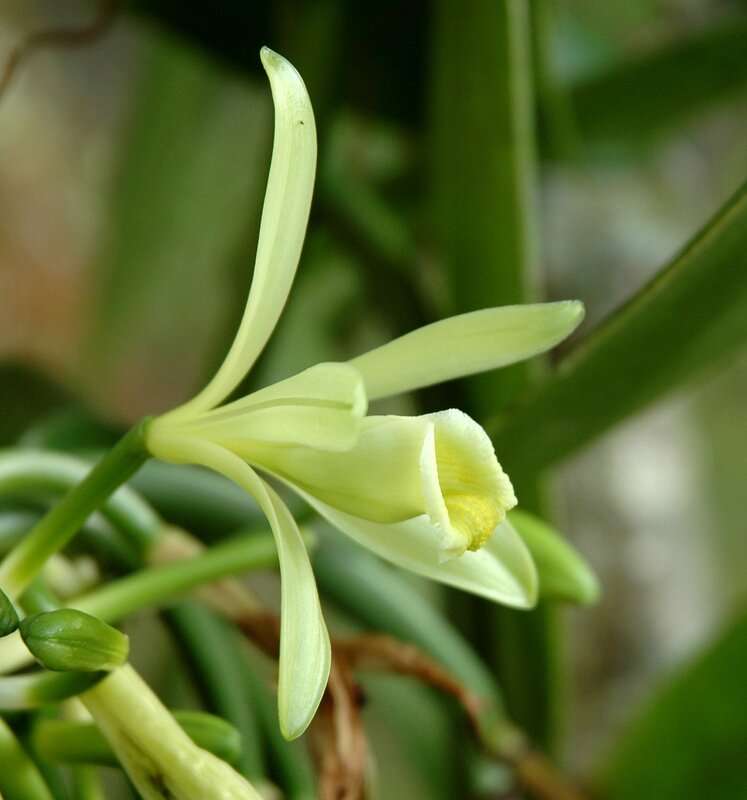 Each planter produces on average 400kg a year of green vanilla (unprocessed vanilla) every year which generates income of roughly $600/year per family. 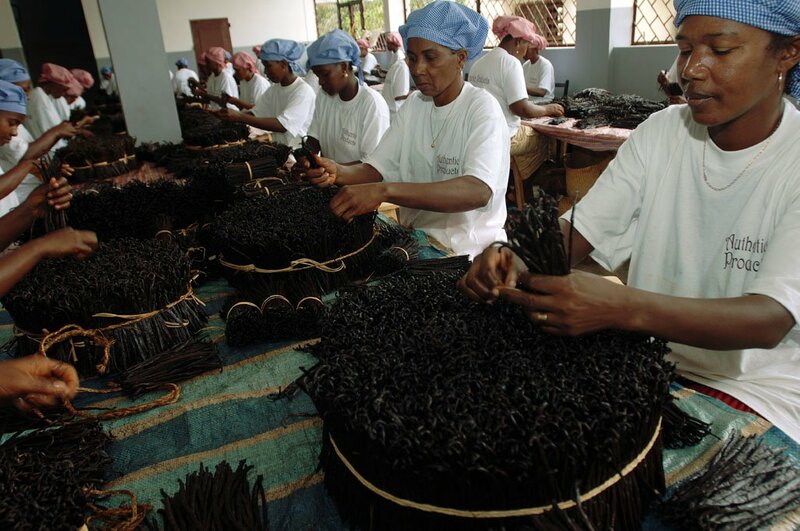 Switching to organic Fairtrade vanilla generates income of over $2,000 for the same crop, an increase of $1,400 per year per family. So without Fairtrade and organic, vanilla farmers only earn less than $2 a day to live on and so their standard of living is miniscule, and even with Fairtrade and an income of $5.5 a day there is still a long way to go. 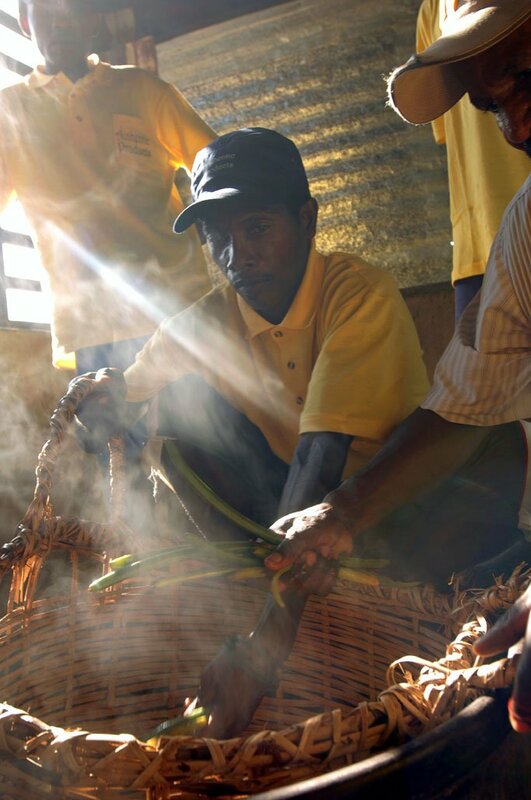 On top of this, a typical Malagasy family comprises 8 people plus sometimes some additional grandparents, and they live in a bamboo hut of 20 – 30m2. As for schooling in the vanilla growing regions, 80% of children aged 6 – 11 go to the local state school, but only 10 – 15% continue to middle school (12 – 15 years old) and 3% continue their schooling beyond the age of 15 years old. Schools are usually about 100m2, which is then used to teach 4 grades, i.e. 300 children, in the same space. Other social information: with a few exceptions, mains drinking water is not available nor is electricity. Transport is by foot along country tracks and average distances of travel to various places are: 5 – 8km to middle school; 25km to high school; 25km to nearest dispensary for pharmaceuticals; and 90km to nearest hospital with first 20km by foot. For me, even Fairtrade seems like a drop in the ocean and more needs to be done. But the key is to start taking those small steps towards greater economic stability and social improvements and to halt environmental degradation (stop the slash and burn of the forests).